Hippo and Rabbit are back in three brand-new tales! It's another day with Hippo and Rabbit and boy, are they in for a ton of surprises! Hippo is scared of everything. He worries his balloon will pop and make a big noise. He's nervous about taking a bath. And he is so very afraid of spiders. 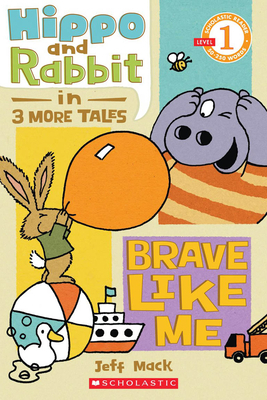 Rabbit tells him not to worry-to just be brave, like him. But what do you think happens when Rabbit is surprised by a bee? !